Holly Walther, Success Mortgage Partners, Inc.
From an early age, Holly Walther was surrounded by real estate. “My dad was a builder and developer,” says Walther, branch manager/loan originator for Success Mortgage Partners, Inc. “I loved going to the subdivisions and watching the homes being built.” As a small child, one of her favorite things to do was sketch floor plans of homes with her dad. Eventually, her parents went into real estate and owned their own business. “My original intention was to go to medical school, but a summer job at a mortgage company ignited a passion and an interest that was all too familiar,” she says. Assisting clients with the biggest purchase of their lives was her calling. 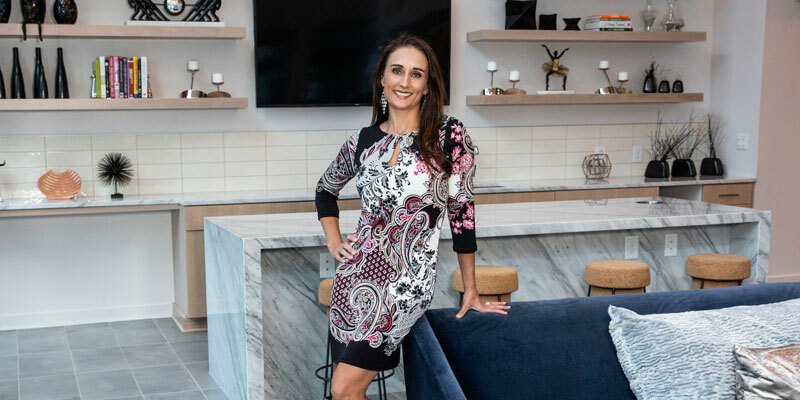 Twenty years later, she is licensed in multiple states throughout the Southeast and has worked with some of the top business coaches in the country. Her coaches have been instrumental to her success as they have helped her develop goals, strategies, and innovative business solutions. Among the top 5 percent of mortgage producers nationwide, Walther is the No. 1 producer at Success Mortgage Partners and has earned Diamond and Platinum awards from the Mortgage Bankers Association of Georgia. A wife and mother of three children, Walther says family is her greatest joy. To help improve the lives of local children, she volunteers with Partners Making a Difference.